Products used for plant protection or as biocides often contain more than one active substance together with numerous formulation additives. The environmental risk assessment for such commercial mixtures applies as default the concept of concentration addition. There is remaining regulatory concern, however, that underestimation of risks can occur if components in the mixture interact synergistically, i.e. elicit effects greater than those predicted by concentration addition. While cases of true synergism appear to be rare, the combination of substances targeting different steps in the same biosynthesis pathway was pointed out as one potential case of synergistic interaction although mechanistic explanations are lacking. The present study aimed to verify this hypothesis using the green alga Raphidocelis subcapitata as the regulatory standard test organism, for which such synergism had been indicated earlier. 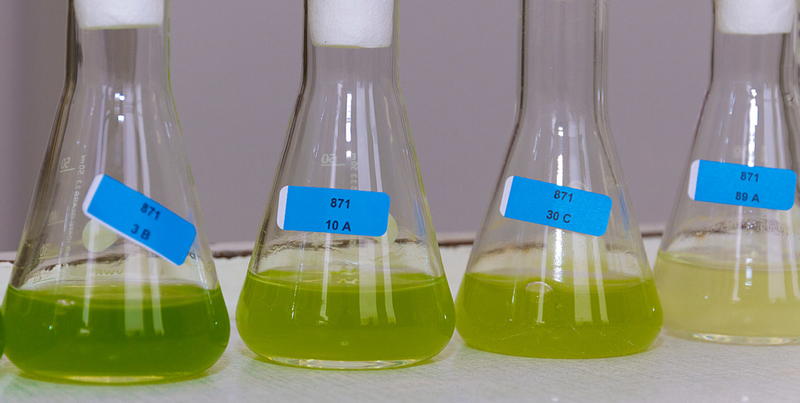 Algal growth inhibition tests were conducted with mixtures of ergosterol biosynthesis inhibitors (tebuconazole, fenpropidin, and fenpropimorph). The fungicides were first tested individually to derive reliable data for a mixture toxicity prediction. The determined toxicity estimates for two of the fungicides were considerably lower than the endpoints in the regulatory dossiers, which had been used for earlier mixture toxicity predictions. Experimentally observed toxicity estimates for the mixtures deviated <2.6-fold from the predicted values. Hence, the hypothesis of synergistic interaction between fungicides targeting different enzymes in the ergosterol biosynthesis was clearly not confirmed for the green alga R. subcapitata. Overall, the present study demonstrates the importance of reliable and correct input data for mixture toxicity predictions in order to avoid erroneous conclusions on non-additive (synergistic) interactions. Coors, A., Vollmar, P., Sacher, F., Kehrer, A. (2018). Is there synergistic interaction between fungicides inhibiting different enzymes in the ergosterol biosynthesis pathway in toxicity tests with the green alga Raphidocelis subcapitata? Ecotoxicology 27, 936-944.